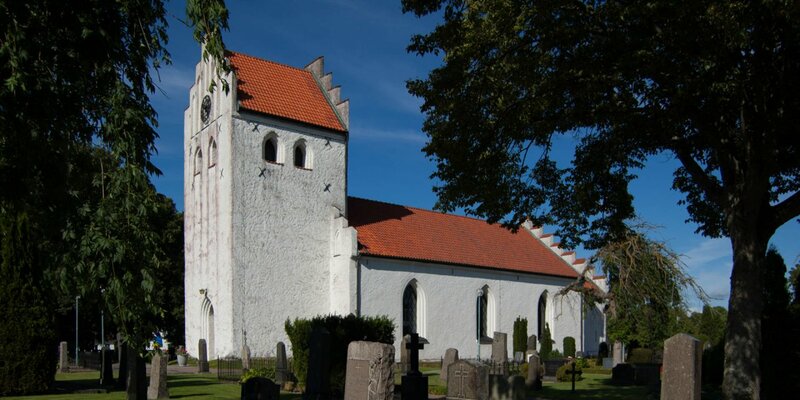 Starby Kyrka is located about 11 kilometers southeast of Ängelholm in the village Starby. 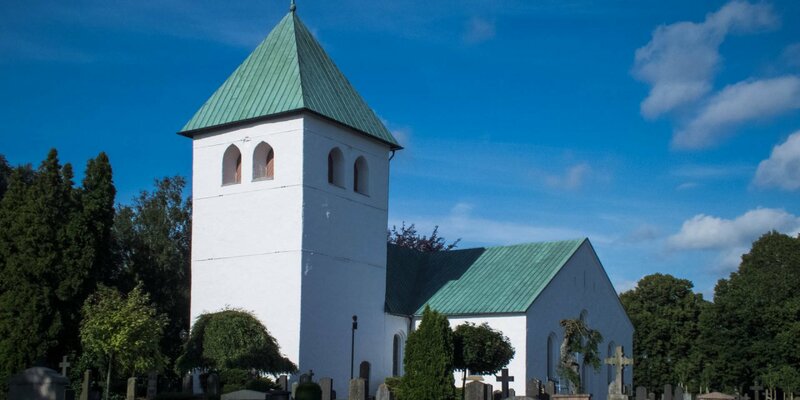 The church was built around 1200 in brick construction. 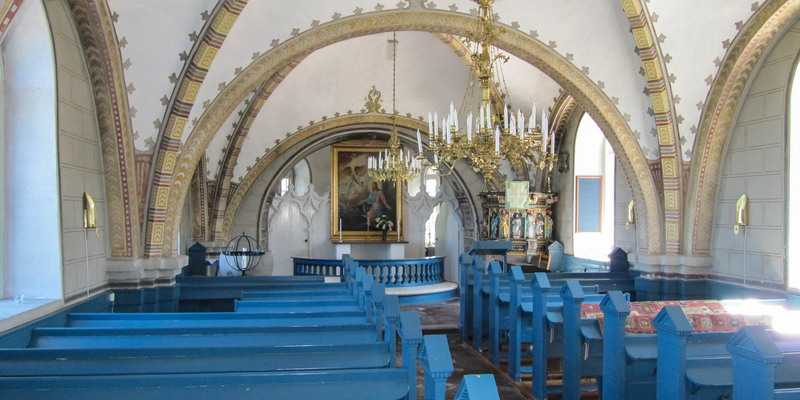 Originally, the Starby Kyrka consists of a nave with a slightly lower and narrower chancel on the east side and a flat wooden roof. The vaulted ceilings were drafted until the 15th century and changed the roof shape accordingly. The original wooden bell scaffold was completely decayed in 1662 and was replaced by a new framework in 1767. Today's church tower was added 1818–19. 1854–55 the church was extended to the east by an apse of fieldstone. The front, western part of the nave remained unchanged. During the renovation in 1912 the arches were given their present painting and the tower clock was installed. The pulpit dates back to the year 1681 and the altarpiece with the Gethsemane motif was created in 1831 and is the work of Alexander Malmkvist. The organ was installed in 1933 and comes from the organ builder Magnusson from Gothenburg. 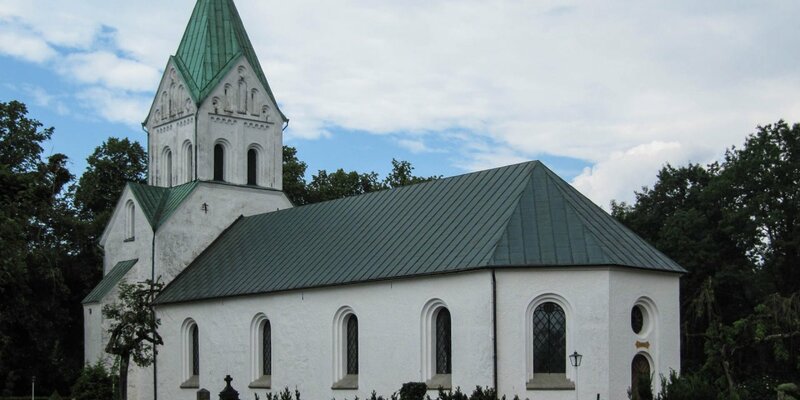 The two church bells were cast in 1631 and 1774.